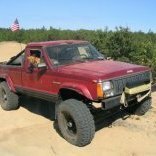 After speaking with PeteM, I've come back on for the sole purpose of doing write ups/tech to help keep our trucks going. This thread will be a 2.5/2.8 viable swap list, complete with preferred donor vehicles, links to parts needed, and pin outs as well as how to. We will be focusing on 86 conversions to the Chevy 3.4 as well as the Buick 3800, in this case a naturally aspirated series two. I do have access to pin outs for all years of donor vehicles, and would be happy to help. The end goal of this post will be to allow you to piggy back your factory engine harness with a thinned out stand alone harness created from your donor vehicles engine harness. As I get my build info back together, I will update. Good to see you, Pat. I look forward to this! Cool. Are you doing the 3.4 keeping the Camaro efi and ecu? That will be the write up for a bolt in, yes. There is no sense doing the swap without utilizing multiparty fuel injection. I have a 3.8 in my 86 from a 96 camaro. Thanks, Ben. Good to see you're still here! 2.8 to 3.4 swap parts list, istructions for mechanical aspect of swap. The ideal candidate (donor) for this swap would be a 1994 to 1995 Chevy Camaro or same year Pontiac firebird, with a manual transmission. The reason for the manual transmission is that, unless you have the rare 87/88 2.5/aw4, your transmission is going to either be an ax4/ax5 (manual), or a tf904 (manual valve body automatic). If your donor is automatic, you could find a 700r4 with a 2.5 gm bell housing, and use that with the camaro harness. That is a needle in a hay stack, but viable. This method would require matched input transfercase (if 4wd) and (likely) new driveshaft(s). 3. Engine, fuel line connector @ fuel rail, and all engine accessories. Being a k-member car, the easiest way to remove the engine is to remove wiring and obstacles carefully. After this, disconnect the rear drive shafts from the differential, transmission crossmember, shifter or shift cables, exhaust after catalytic converter. Once all of this is disconnected, disconnect steering shaft, upper a arms, front brakes, upper strut bolts, and finally the front suspension crossmember. Doing this will allow you to lift the body off of the engine/trans, and easily access all necessary bolts to separate them, leaving you with intact o2 sensors. If you want to retain or add A/C, save the lines connected to the pump. 4. Your engine removed from your truck. 4. Engine side motor mounts. You will be switching the exhaust manifolds, oil pickup tube, oil pan, and motor mounts to the 3.4 engine. The 3.4 oil pan will not clear the front differential, and you definitely don't want it to self clearance. You will need to have the flywheel neutrally balanced. The 2.8 has no internal balancing, the 3.4 does. Skipping this step will result in excessive wear on main bearings, vibrations, and could cause the engine do detonate. You will also need to get as many O2 sensor bungs as there are sensors in system.. The will be needed during fitment of the engine and final mechanical assembly. I highly recommeND purchasing a brand new 2.8 liter y pipe for ease of fabrication. As is necessary, at equal distance from the exhaust manifolds side to side, you will need to drill an appropriate sized hole for each O2 sensor. I recommend doing this once the engine is reinstalled, during test fit of the y pipe, to make sure the O2 sensors will not make contact or be interfered with by anything. The closet to the manifolds, at equal distance side to side, the better. Any additional O2 sensors need to be located pretty and post catalytic converter, as necessary. I would advise a NoX (nitrous oxide) catalytic converter as it will clear emissions enough to allow you to render the egr inop without throwing a code. You will be using the Camaro/Firebird engine accessories. This will necessitate some custom or trial and error power steering lines as well as upper radiator hose. The mechanical fan will be able to bolt on to the 3.4, though you may need to use a 2.8 water pump. If you do not wish to use the mechanical fan, we will get to that during the electrical section of this swap. The last mechanical aspect will be the need to retain the jeep oil pressure and coolant temp sensors. To do this, you will need to install a Tee at the oil psi port, and install both the jeep and the chevy sensor. As far as the coolant sensor, I believe the best course of action to be to locate the coolant jacket on the intake manifolds lower plenum, and drill and tap a hole (pipe thread) to add the jeep coolant temp sender into the system. These will be connected to the original jeep wiring in order to produce gauge readings. As far as electrical goes. The easiest way to start building your harness is to thin the herd. I recommend starting with the easiest part; removing all unnecessary wiring and connectors from the new harness. If you labeled them as you removed them, this will be an easier process. The best way to remove these would be to lay the entire harness out on the floor, and carefully remove all tape and wraps. Then, beginning at the connector, trace the wires going to the connector back to their source. Cut them flush with the connector at the source, or de-pin them if you have the tools for doing so. If you trace them to a common positive or negative, cut only that wire out of the junction. If it is a fuse that is not necessary, remove the fuse, but I would leave a pig tail for future repurposing as desired. By keeping this fuse panel, you will gain a newer starter relay instead of the original corrosion prone solenoid. Locate the signal wire from crank position and pin it into the source pin of the Chevy relay, and use the Chevy engine wiring to engage the starter. In addition to the starter relay update, you will also gain the electric fan relays. I personally would ditch the mechanical fan in favor of the dual computer controlled fans. The Camaro/Firebird fans are integral to the fan shroud, so I recommend getting two aftermarket fans. As the 2.8 radiator is smaller in surface area on front in back (though thicker, and therefore adequate cooling), you will need to invert the wiring off of fan one (low speed) and use it as a pusher fan on the front face of the radiator, and run fan 2 (high speed) as a puller on the rear face of the radiator. The Chevy fuse panel will also have a fuel pump relay. You will need this. It's prewired to the bulkhead connector (I will provide pin out at later date). 1. 1987 to 1990 4.0 in tank sending unit and pump for a long bed (if you have a 2.5 sending unit it will suffice, but will need a 4.0 pump installed). I prefer this method as it is quiet and keeps the pump cool, however it is harder to install and service). To do this, you will simply take the fuel pump positive from the Chevy bulkhead connector through the factory fuel tank floor plug, and install a renix 4.0 sending unit connector on the body side, then splice/pin it into the fuel pump positive. 2. Aftermarket in line fuel pump. I will have to look up PSI required (generally 28 to 34psi). You would want to install this in the soft line after the outlet of the fuel pump, but before the metal fuel line. The best location to mount it would be to a forward crossmember on the bottom side of the bed. You will need to run a positive from the Chevy bulkhead connector to the fuel pump positive, and a negative from the fuel pump to the battery or a bonding/ground location near it. A big thing to be aware of is that these vehicles will have VATS (Vehicle Anti-Theft System). This puts out 55hz when the matched VATS key is placed in the ignition. I have had this module in my 86 since 2006. It works great. The bonus is that you can set it up on a pinned connector, or engagement off of battery power if desired, so that it can still act as anti-theft as the vehicle will not allow it to run. included in the master list. Baker Electronix closed in May 2018. There are two other options for the VATS bypass both work great, it just depends on how much you want to spend. Added more info on the two different systems.